For some people (read: me) karaoke is what happens when your nightmares get turned into realities. Let me set the scene: It's a Wednesday night, baby, and you're alive — Hannah Horvath style. Your friends suggest you do something "wild" that involves a stage, a teleprompter, and a moderate-to-(pretty) severe intake of alcohol. After their third attempt to lure you in with words (and shots of vodka), you acquiesce. What's the worst that could happen? You choke? A wardrobe malfunction happens onstage? You hit your mouth on the microphone and knock out all your front teeth because you were fervently singing Shania Twain and forgot where you were for a second? Random guesses, really, I don't know you. One thing that you certainly will have to encounter in this scenario is the issue of which song you will sing once your friends inevitably push you onstage. Do you go with an old favorite? A Whitney Houston classic? Something in the Top 40? None of the above, you rookie! You choose something that no one else is going to choose — specifically something from the decade that ruled music: The '90s (obviously). Here. Go ahead with one of these. The '90s karaoke songs no one ever picks, but absolutely should. Why you should choose it: Because it's kind of your mantra. Get knocked down, get back up again — just make sure to point out who has a whiskey drink, who has a vodka drink, who has a lager drink, and who has a cider drink in the (your) audience. Why you should choose it: Because you're an entertainer. And there's never not a good time to pay homage to Kurt Cobain and the greatest grunge band there ever, ever was. Hello, hello, hello! 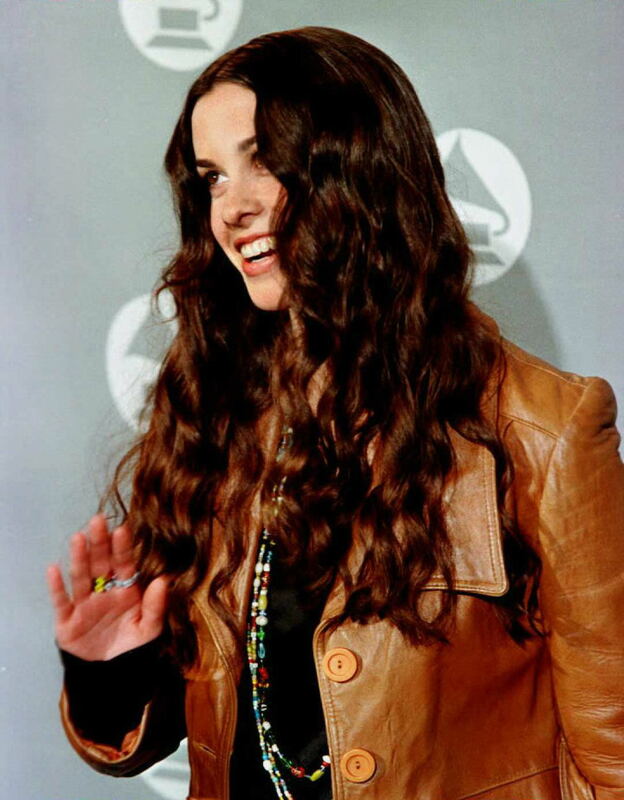 Why you should choose it: No one understood your preteen/teen angst like Alanis Morisette. You're also still pretty angry about that one breakup in elementary school. Get it out. Get it all out. Karaoke is catharsis; catharsis is karaoke. Why you should choose it: People love jams that instruct them on what to do. Plus, if you jump a lot, no one will notice that you're actually crying. Why you should choose it: Mostly for the chorus, because all you do is repeat "My name is" and say "Hi!" with great enthusiasm. Don't even worry about the rest of the lyrics. Why you should choose it: To take down the mood and wind down the night. Use it as a closer. Be sure to make contact with as many strangers as possible while singing "I don't belong here." They'll love that as they exit the bar. Why you should choose it: Is that a real question? Have you heard this song? Why you should choose it: It's slow, but powerful. Powerful and poetic. Why you should choose it: That guitar melody. Don't tell me that doesn't give you chills. Why you should choose it: Because at least one of your friends is named Monica, Erica, Rita, Tina, Sandra, Mary, or Jessica. Call her out. Make her feel weird. Why you should choose it: I have no diggity, no doubt that you already know this one by heart, so, shorty get down. See? What did I tell you?! Karaoke is fun. Right...?